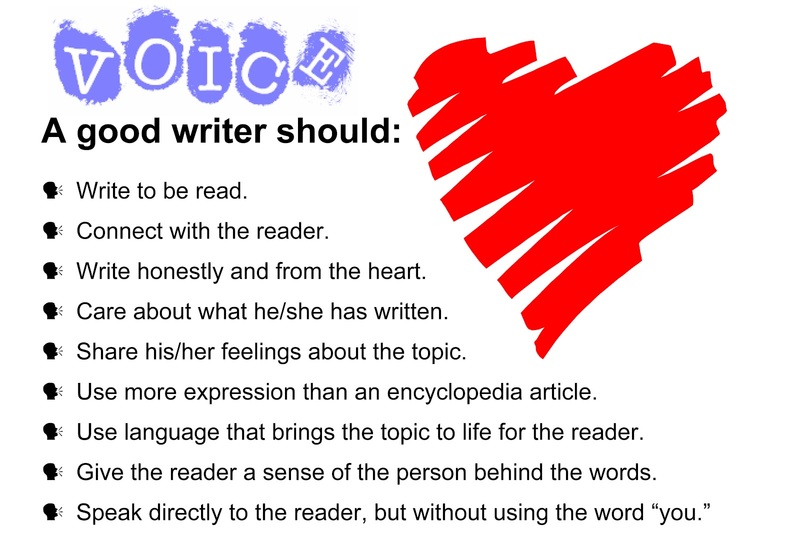 Voice is the writer coming through the words, the sense that a real person is speaking to us and cares about the message. It is the heart and soul of the writing, the magic, the wit, the feeling, the life and breath. 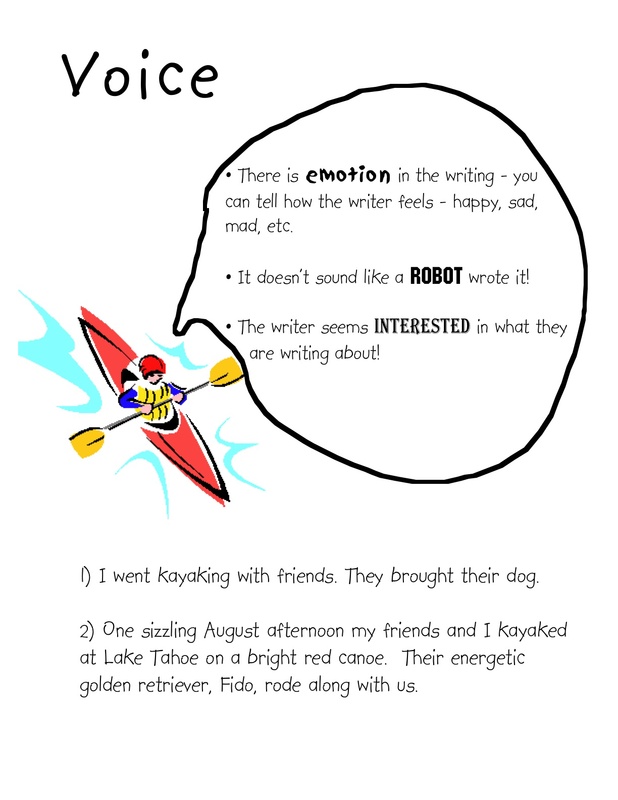 When the writer is engaged personally with the topic, he/she imparts a personal tone and flavor to the piece that is unmistakably his/hers alone. And it is that individual something–different from the mark of all other writers–that we call Voice.